Recently, during the Lent season, some of the members at Wightman UMC read and journaled their way through the Gospel of John. The following is a quick survey consisting of ten questions. 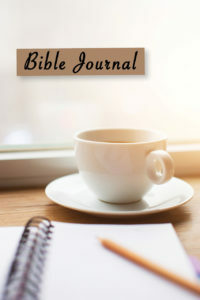 Its purpose is to inform us on the overall Bible journaling experience at Wightman UMC. I have continued my journaling with the book of Romans. I was working on my daily journal while I was sitting in the car dealership waiting for my car to be serviced and a man came up to me and asked what I was doing. When I explained what our church was doing we engaged in a conversation about Romans. As we discussed the different aspects of Romans a lady sitting near by (who was apparently ease dropping) joined in our conversation. WHAT A POWERFUL GOD WE SERVE!